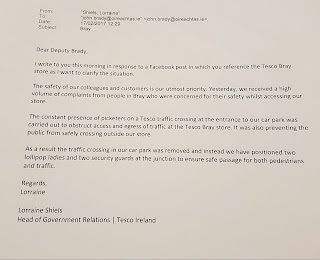 Sinn Féin TD for Wicklow/East Carlow John Brady has condemned the painting over of the pedestrian crossing outside Tesco, Bray overnight. 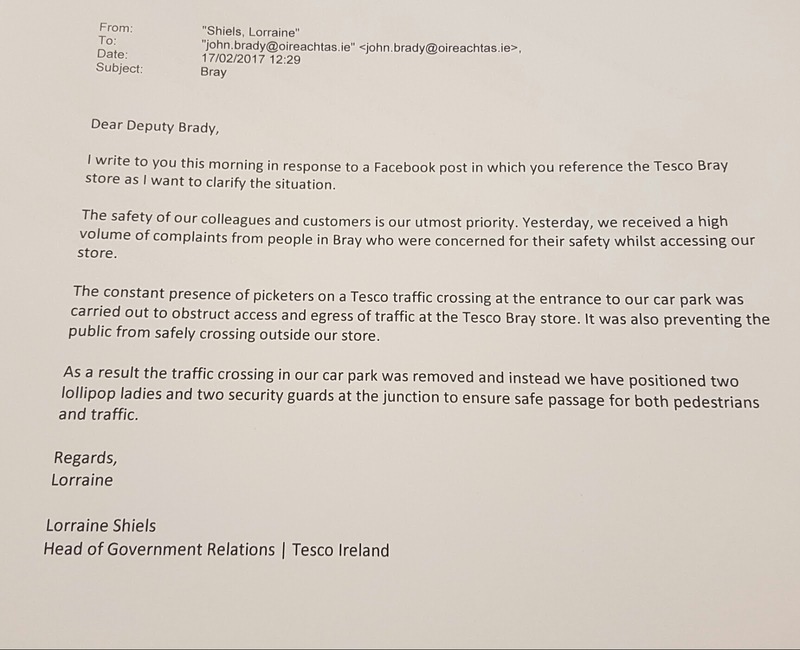 “This is a new low for the management at Tesco who Mandate Trade Union has said were behind the painting over of the pedestrian crossing. “Strike action by Tesco workers in Bray has been taking place at the pedestrian crossing since Tuesday. “The damage caused is not only outrageous but also, is a criminal offence as the pedestrian crossing is on a public road. 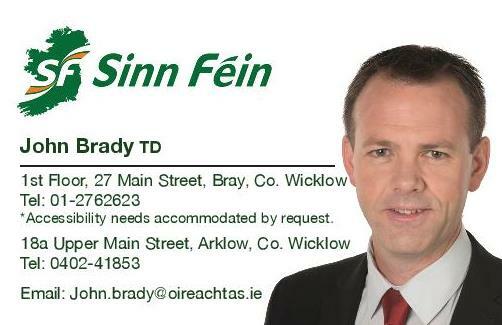 “I have been in contact with the Gardaí and Wicklow County Council; both are taking these actions very seriously. “The blatant disregard for the local community especially, for young children who use the crossing daily on their way to school, with four schools in the area, is unacceptable. "These careless actions threaten health and safety and have made crossing the road extremely dangerous. 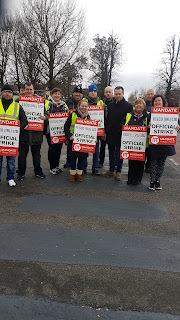 “I have been supporting Tesco workers in their strike action at Bray and Greystones and I continue to support the workers.